Shirley A. 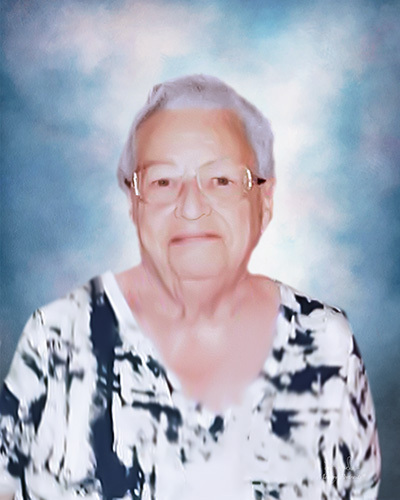 (Rummel) Dankert, a devoted wife, mother and grandmother, of Moon Township, passed away peacefully on Thursday, Feb. 7, 2019 at Heritage Valley Beaver, at the age of 85. She was born in Johnstown on August 13, 1933, one of three to the late C. Merle and Ethel Edna (Fuller) Rummel. She married the love of her life, Raymond L. Dankert on June 1, 1956. They had 47 great years of marriage until he passed in 2003. They had three beautiful children: Raymond M. Dankert (Debra) of Robinson, Dianna Paul (Greg) of Moon Township and John Dankert (Linda) of Wellsville, OH; 6 cherished grandchildren: Jamie (Jesse), Raymond (Jessica), Brian (Lauren), Hannah, Hayley (Christian) and Ethan; 5 adored great granddaughters: Delaney, Angela, Rainey, Elizabeth and Emma; her well-loved sister always their special bond, Carole Saunders (the late James) of Johnstown; two precious nephews Jimmy and Don; In addition to her parents and spouse, she was preceded in death by her brother Marlin “Bud” Rummel. Fondly referred to as “Susie Homemaker”, she took wonderful care of her family, enjoyed needlepoint and cheered on her favorite sports team. She also was the friendly delivery person for 12 years with Peggy mac Flowers. Visitation Tuesday 2-4, 6-8 at Copeland’s Moon Township, 981 Brodhead Rd where service will be held on Wednesday at 10 AM. Entombment in Coraopolis Cemetery. In lieu of flowers, family suggests donations to either the American Heart Association or the American Cancer Society.